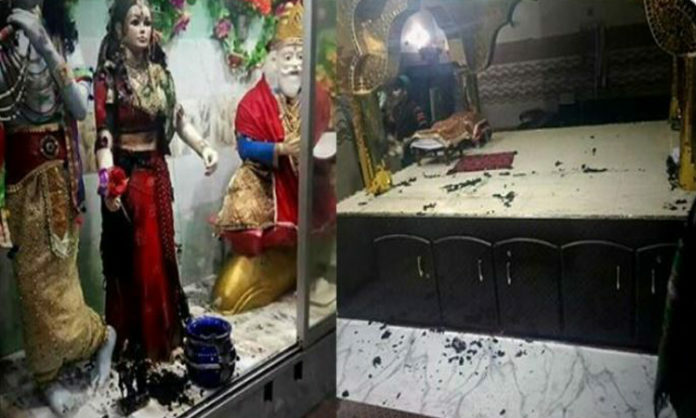 A Hindu temple was vandalised in Pakistan’s Sindh province by miscreants who set the holy books and idols on fire, drawing a strong reaction from Prime Minister Imran Khan who ordered swift and decisive action against the perpetrators. “The govt of Sindh must take swift and decisive action against the perpetrators. This is against the teachings of the Quran,” Khan said. The community has approached the police to register a case against unidentified persons. There was no caretaker at the temple because the community felt that it was safe enough, since it was surrounded by their houses. After the incident, the Hindus in the area held a protest in the city, Samaa TV reported. Rajesh Kumar Hardasani, the adviser of the Pakistan Hindu Council, has demanded the formation of a special task force for the security of Hindu temples. “This action has caused unrest among the Hindu community. These types of attacks are done in an attempt to disturb religious harmony across the country,” he said. Police said that they were hunting for the attackers but so far no arrest was made. Nobody or group took responsibility of the attack.